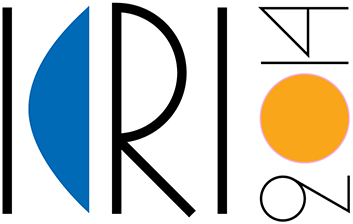 ERA Ltd will be in charge of the accommodation aspects of the upcoming ICRI 2014 and has already made pre-bookings of a number of rooms in all hotels below, based on the expected participation. These pre-bookings will expire on 15 February 2014. Should you face any difficulties during the booking process or in case you won't be able to proceed with the booking before the above mentioned deadline, please do not hesitate to contact us by email (icri2014@era.gr) or telephone (+30 210 3634944 +30 210 3634944). This luxury Athens hotel features a rooftop pool with Acropolis view, and offers exquisite dining and luxurious guest rooms with views of the city, Lycabettus Hill and the Acropolis. All rooms have been recently renovated, and well furnished. 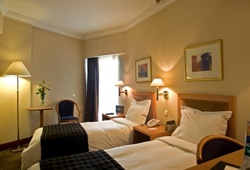 Standard room features include cable and satellite TV, individual climate control and minibar. Distance between the conference venue and the hotel is approximately 1.2 km (8-10 minutes by car or 10-15 minutes on foot). - For cancellations between 40 days prior to the arrival date until 1 day prior to the arrival date, there will be no cancellation fees. - For non-show or early departures, full cancellation fees will apply (100%). - A valid credit card will be required as guarantee on the day of the booking. - All reservations will be made through the hotel's official web site, using a promo code. - Once you access the booking page, you should choose the "enter your access or promotional code" option. - On the drop down menu that will appear, choose the "group code option" and enter the relevant attendee code to the "enter code" field. - The special rates and conference name will appear. 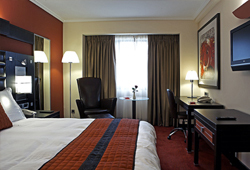 The Hilton Athens features comfortable rooms, some with views of the Acropolis. This chic hotel has spacious guest rooms with marble bathrooms, walk-in shower and bathtub. LCD TVs with cable and satellite channels and work desks with adjustable lamps are included. Distance between the conference venue and the hotel is about 600m. Easiest way to reach the conference venue is on foot which is a 10 minute walk. Wi-Fi and Wired internet is available in all areas and charges apply. A special arrangement has been made with the hotel for ICRI participants: The price for the use of a 24hour wireless internet connection is 13 €. - For cancellations between 39 days prior to the arrival date until 20 days prior to the arrival date, one night cancellation fee will apply. - For cancellations between 19 days prior to the arrival date until the arrival date, or non shows, full cancellation fees will apply (100%). -Click the "Book a Room" button & proceed with your reservation. In the heart o f Athens' business and commercial district, Crowne Plaza offers lavish accommodations in walking distance from many historic sites and the metro station. The rooms are of contemporary design and combine the comforts of a high standard hotel with the personal care and friendliness of a family-owned business. Distance between the conference venue and the hotel is approximately 1,2 Km (4 minutes by car or less than 10 minutes on foot). Wi-Fi is available in all areas and costs EUR 9.50 per 24 hours. - For cancellations between 40 days prior to the arrival date until 10 days prior to the arrival date, one night cancellation fee will apply. - For cancellations between 9 days prior to the arrival date until the arrival date or non-shows, full cancellation fees will apply. 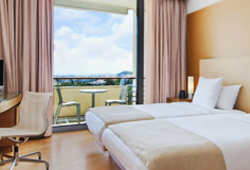 The modern Airotel Stratos Vassilikos Hotel offers stylish and spacious rooms with free Wi-Fi. All rooms are equipped with soundproof windows, while bathroom includes free amenities. Distance between the conference venue and the hotel is about 450 m. Easiest way to reach the conference venue is on foot which is a 6-8 minute walk. .
- For cancellations up to 2 days prior to the arrival date, there will be no cancellation fees. - For cancellations after the above deadline or non shows, one night cancellation fee will apply. - A special reservation form should be filled and sent directly to the hotel. Rooms at Best Western Ilisia Hotel are air conditioned and have carpeted floors. They are equipped with a safety box, fridge and double-glazed windows. All rooms also have a balcony. Distance between the conference venue and the hotel is about 650m. Easiest way to reach the conference venue is on foot which is less than a 10 minute walk. Single: 80 € - Double: 90 € (Prices include all taxes and breakfast). - For cancellations between 40 days prior to the arrival date until 3 days prior to the arrival date, there will be no cancellation fees. - For cancellations between 2 days prior to the arrival date until the arrival date or non-shows, one night cancellation fees will apply. - Insert dates and click Book now! - In the " Your Itinerary" field, click "Change"
- In the "Rate/Corp Code" field, add code GRP01. This 4-star hotel offers soundproofed rooms with satellite TV. 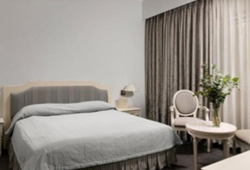 The elegant rooms at the Golden Age are fully air conditioned and have black-out drapes. They all include minibar and in-room safe. High-speed internet access is available. Distance between the conference venue and the hotel is about 450 m. Easiest way to reach the conference venue is on foot which is a 6-8 minute walk. - For cancellations between 40 days prior to the arrival date until 4 days prior to the arrival date, there will be no cancellation fees. - For cancellations between 3 days prior to the arrival date until the arrival date or non-shows, full cancellation fees will apply (100%). - All reservations should be requested through email (reservations@hotelgoldenage.com), mentioning the code ICRI MEETING 2014. Each room at Airotel Alexandros is elegantly furnished. They include satellite TV and tea-and-coffee facilities. Some rooms include a separate living area. Distance between the conference venue and the hotel is about 350 m. Easiest way to reach the conference venue is on foot which is a 5 minute walk. 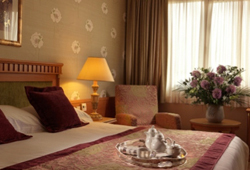 President Hotel provides spacious stylishly decorated rooms, most boasting lovely views of Athens. 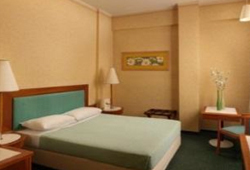 All rooms are equipped with air conditioning, satellite TV, refrigerator and safety box. Distance between the conference venue and the hotel is about 1.3 km (10 minutes by car or 15-20 minutes on foot). WiFi is available in all areas and costs 4 EUR per hour. Wired internet is available in public areas and charges are applicable.